Even though Apple is thought to have several hardware products for release this year, the next-gen iPhone is naturally hogging the spotlight. We’ve been tracking its progress for several months now, hunting for any clues or evidence regarding features, pricing and availability. But with the manufacturing process now said to be in full flow and leaks appearing on a daily basis, it’s quit hard to keep track of everything, but thanks to the infographic you see below, you can get yourself up to date in a matter of just a couple of minutes. Trying to dissect every leak and report on the iPhone 6 is a pretty cumbersome task, particularly when the information regularly overlaps and contradicts. But thanks to Nowhereelse – a perpetual leaker of Apple-related info – we have a very concise, easy-to-digest view of what we can expect from the device known unofficially as the iPhone 6. As well as offering a clear, annotated diagram outlining the numerous features, Nowhereelse also casts its own estimates on the probability of features appearing, with a percentage-based figure potentially allowing us to think ahead. The numbers seem a little arbitrary, mind, with the likelihood of an “improved” Touch ID sensor coming in at 85 percent, but with the 4.7-inch display rated as a certainty at 100 percent, those looking for more real estate will have their wish granted by Apple in the coming months. The iPod touch-esque, ultra-slim design is rated at 95 percent, and, if anything, this is about as likely as the display size itself. Accompanying the 4.7-inch iPhone will be, so we hear, a 5.5-inch variant, although given that it has also apparently been hindered by delays, it’s very unlikely to join the smaller model in its September-time release. 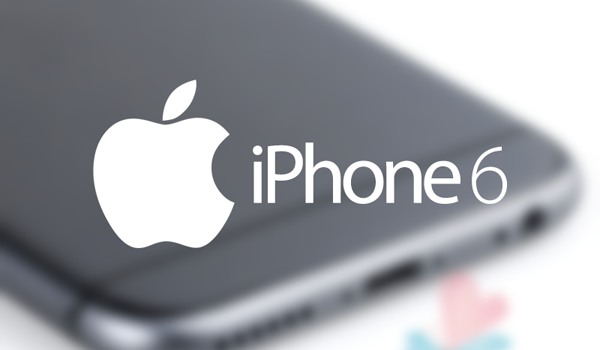 Instead, it’ll probably manifest itself around November, although this may also be wishful thinking given that the most recent information points to an early 2015 retail, and in spite of the notion that Apple would announce both at the same time, the delay period may well see the Cupertino instead keep the so-called “phablet” release under wraps. 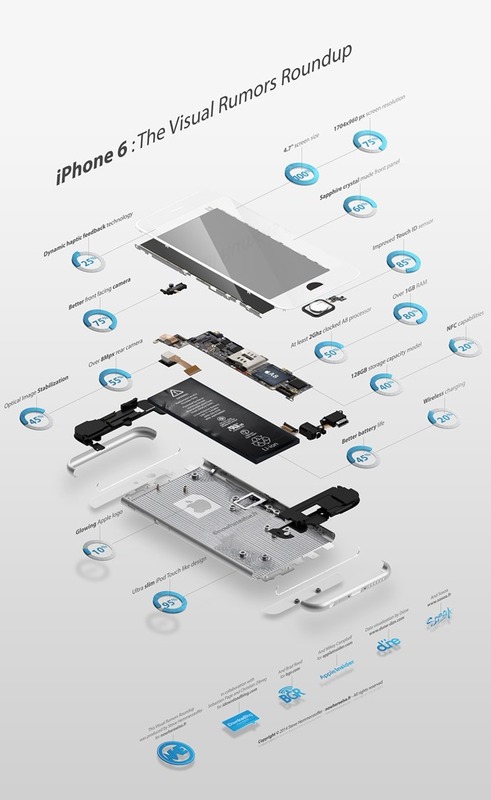 You can check out the very clear, well-constructed diagram of the iPhone rumor round-up below, along with all of Nowhereelse’s percentages, and as ever, be sure to leave your thoughts and comments via the usual channels.